It's time to go on an adventure! 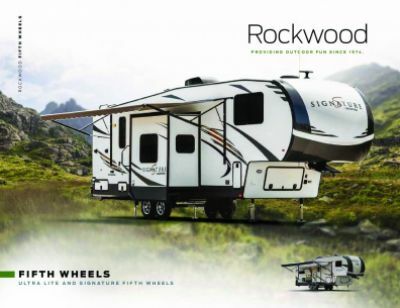 You'll want to stay comfortable throughout your travels, so take the 2020 Forest River Rockwood Signature Ultra Lite 8332BS with you! This Travel Trailer is a great family RV, and it's available now at All Seasons RV! We're one of the largest RV dealers in Michigan and the Midwest! You can visit our lot at 4701 Airline Rd Muskegon Michigan 49444, or find the right RV for your on our site! Give us a call at 231-739-5269 to talk with our Rockwood Signature Ultra Lite expert about this wonderful model! This model is ready for the road, with its hitch weight of 1193 lbs. and sturdy GVWR of lbs! Once you've reached your destination, pull out the 14' 0" awning with ease for ample shade and comfort! 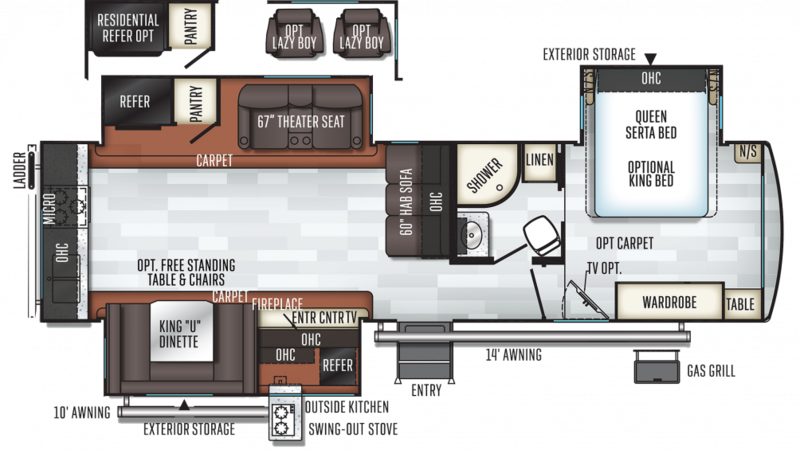 Whether you have a big family or a lot of friends, you'll have room for them all, thanks to the 3 easy open slides that maximize the living space of this 35' 11" long and 8' 0" wide RV! Even when the weather forces everyone inside, they can stretch out comfortably and stay cool and easy thanks to the efficient 13500 BTU a/c unit or feel toasty and warm from the modern 35000 BTU furnace! After a while, eating out when you're on the road gets tiresome and expensive! That's something you'll never worry about thanks to the handsome kitchen it features. With its roomy 12.00 cu. ft. refrigerator that can stock all your favorite meats, veggies, fruits, and cold beverages and the modern 3 burner range cooktop, you'll whip up tasty meals for the family in no time! Cleaning dishes is easy thanks to the 60 gallon fresh water tank. When it's lovely outside and you don't want to go inside, make your lunch out in the fresh air with the outdoor kitchen!